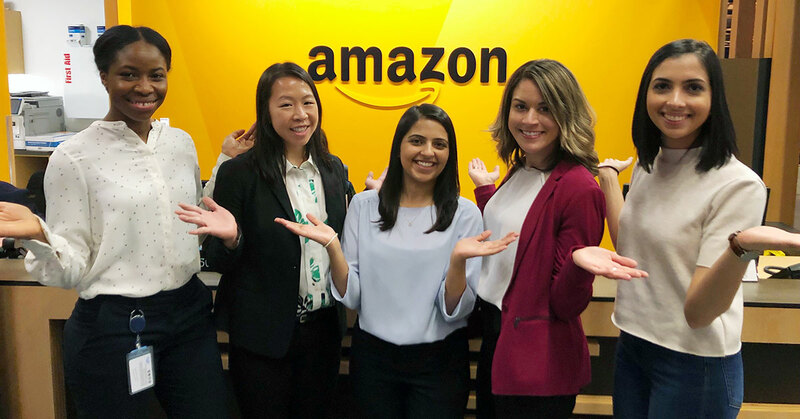 March 8 is International Women’s Day, and the 2019 campaign theme – #BalanceforBetter – is a reminder that gender-balanced workplaces are better for everyone. Mentorship is one way to advance gender equity, and it can enhance your career, but finding a mentor can feel daunting. Mentorship is really just a relationship—and it can range from structured check-ins to casual coffee chats. Request Forté’s Mentoring Guide for an undergraduate-led or MBA-led mentoring program. Explore other career interests and continue learning. Find “go-to” people to solicit advice on your next move – admired professionals, colleagues, and managers, or speakers who have inspired you. Consider short-term and long-term goals and planning – such as career progression, family planning, and potentially returning to business school. Continue to develop mentors, building on established relationships with people you know well and can counsel you directly. Connect with someone in a field similar to yours, and another from a different field but with similar skills – this allows for diversity of thinking and perspective. Many people neglect mentorship after reaching their career pinnacle, but women can stretch themselves or achieve a greater depth of interest at this stage. Mentoring often happens via a group of trusted friends and peers who provide honest, generous feedback, and make room for each other’s successes. Regardless of where you are on your career journey, consider a Mentorship Walk. Connecting with women who have busy schedules can be challenging, and through Mentorship Walks you can seek and receive guidance while keeping active. Share your proudest achievement to date. Discuss female influencers we see in the media. Share a strong female role model for you and why. What skills or qualities does it take to be a leader? Are there gender differences in the skills or qualities of a leader? What is one thing we can do today off campus or after work to change the balance of power in the workplace? Let’s celebrate our achievements together! 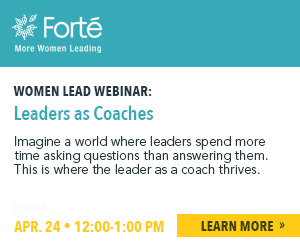 Forté has the resources for you to amplify women’s voices on social media, tools for you to build your leadership and self-empowerment wheelhouses, and keys to get you started in female mentorship at school or at work.